Come on sun, where you hiding? Famous Belgian eclair-maker Pierre Marcolini has revealed his new collection of chocolates and DIY ice creams hitting London! The Esquimau Choc Ice Bar at Pierre Marcolini’s Marylebone boutique is on hand throughout the summer to bring some chocolate goodness. You can choose one of four ice creams or two sorbets (vanilla, chocolate, caramel, white sesame, mango or raspberry), then dip it in one of six toppings, including milk choc, toasted hazelnut and fleur de sal (a delicate sea salt), white chocolate and toasted sesame, and smoked dark chocolate. The treat comes in at £4, a reasonable price for a tasty creamy sensation. 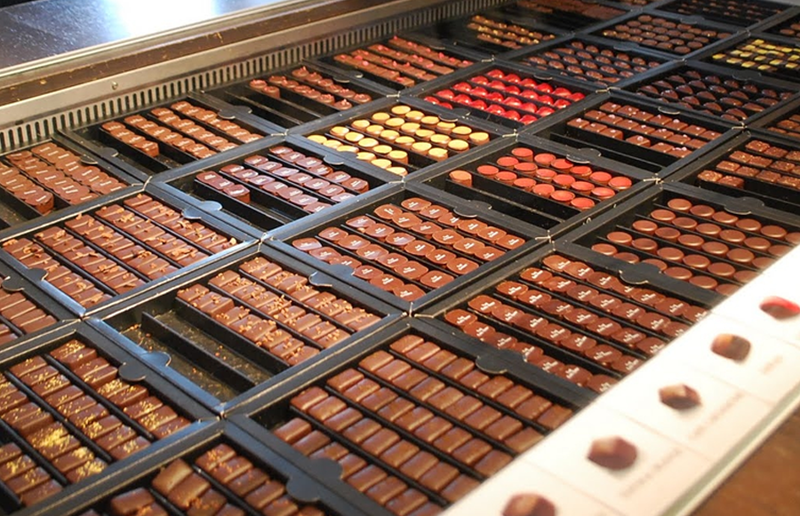 If that wasn’t good enough, Pierre Marcolini also stocks a wide range of beautiful chocolates and sweet treats. The Esquimau Choc Ice Bar opens Thursday June 1 and will be open until the end of August. Pierre Marcolini is located at 37 Marylebone High St, W1U 4QE.